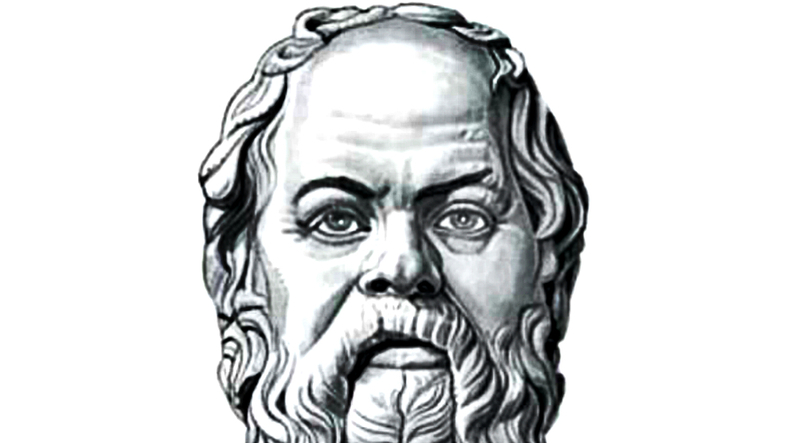 Socrates, the classical Greek philosopher, left a great influence on ancient and modern philosophy. Though he made no writings of himself, he was known through the accounts of the classical writers who followed him, particularly his students Plato and Xenophon. Socrates is considered the father of western philosophy. His way of teaching doesn’t focus on imparting knowledge, but on asking questions. Hence, he made famous the maxim, ‘knowing thyself.’ Socrates didn’t formulate this maxim. He stumbled upon these magnificent words on a typical day while he waited for an answer to a specific question. The story goes that a debate arose as to who was the wisest person in the land. Many believed it was Socrates. But Socrates discredited himself, saying he knew his ignorance really well. With so many questions in mind, he talked to different people including politicians, artisans, and craftsmen to know what was good, true, and beautiful for them. What Socrates found out was that, though the people knew a lot of things concerning their expertise, most of them thought they knew more than they actually did. They showed this by talking about stuff they knew nothing about. During those times, there was one person whom they considered had all the answers to many mysteries, Pythia, the Oracle of Delphi. She was a woman who was highly esteemed and properly fed. Being too confused with his own wisdom, Socrates decided to consult the Oracle. A priest was assigned at the temple gate to relay anyone’s question to the Oracle. When Socrates arrived, he delivered his question to the priest, who then left him to relay the message to the Oracle. After the priest relayed the visitor’s question, the Oracle went into a trance and began speaking in a heavenly language, which a group of priests translated. Then the priest returned to Socrates to deliver the Oracle’s answer. Upon the priest’s return, he gave Socrates the Oracle’s answer, “Oracle says that you’re the wisest cat out there, so you got that going for you.” This left Socrates astounded because he knew how his ignorance kept him into asking questions. He then realized, maybe what made him wise were his ability not to assume anything and his willingness to ask questions in order to learn. So, what does ‘know thyself’ holds for us? This might mean operating from the center of who we are, without assuming things or pretending to know things we knew nothing about. Discovering the mystery that engulfs our beingness is a worthwhile and the most important undertaking we would ever venture into. Whatever our beliefs, dogmas, background, and inclinations are, they all reflect by how well we know ourselves and how well we’re able to express the enormous beauty behind our souls. Socrates says knowing thyself is an act of self love. True love of self is being able to share that love with others without expecting anything.